It's boot season! I'm such a fan of over the knee boots. Here are a few celebs rocking over the knee boots. They add pizzazz to any look and are versatile when you want to be dressy or casual. 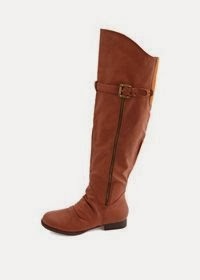 Get over the knee boots from Charlotte Russe starting at $42.50.